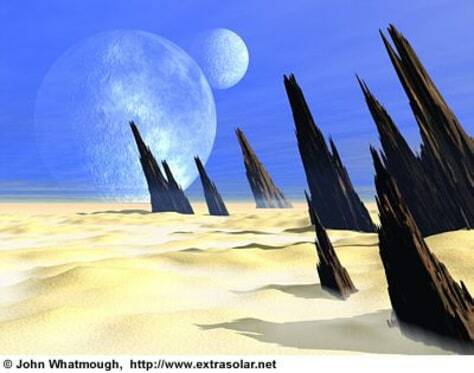 An extrasolar world might have multiple moons, as depicted in this illustration by John Whatmough. Scientists say there are probably a lot of the moons in the galaxy, and some might support life. Find more of Whatmough's art at www.extrasolar.net.